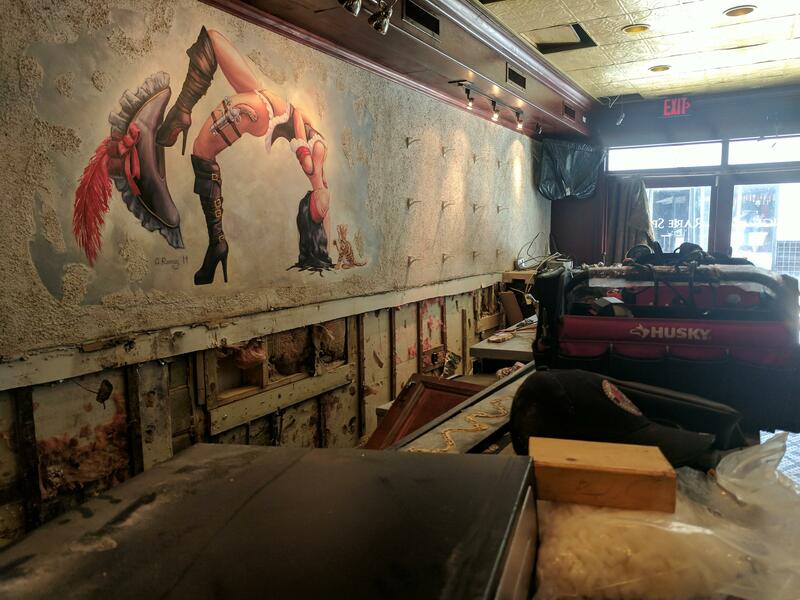 Dos Gatos' iconic bar has been gutted after flood waters tore into the lounge Sunday night. Tourists have been slowly creeping back into the city’s entertainment district, but shuttered businesses dot the colonial landscape and the foot traffic was sparse Friday afternoon. On Hypolita Street, industrial fans and massive heat lamps are drying out Dos Gatos bar, which is now a musty shell of what was a bustling night spot just a week ago. General Manager Quiton Burke said when he finally got inside after evacuation orders were lifted, at least a foot of standing water remained. Burke said Dos Gatos will have to be completely rewired and the owner’s other properties, including Scarlett O’Hara’s next door and Hoptinger on Anastasia Island, were also badly damaged. “You’re looking at a very big bill for this one,” he added. A city official told WJCT Friday it’s too soon for accurate damage assessments and total business losses in a city where tourism is the number-one industry. St. Augustine finally reopened its iconic visitor center Thursday and parking fees at metered spaces are being suspended until Monday, September 18, both to help drive more people to the colonial money-maker and as a result of damage to parking payment stations. Statewide, the initial projection for pre-storm protective measures and debris removal alone is $275 million and that doesn’t include damages, which are expected to be somewhere in the billions at least, reports the News Service of Florida. 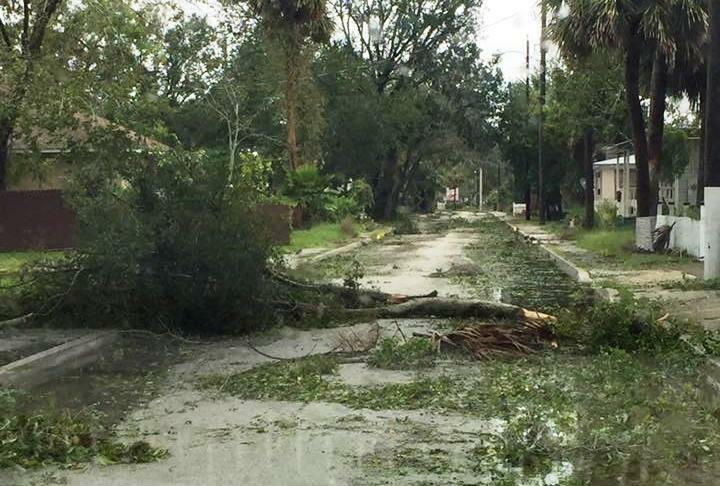 St. Johns County is working on cleaning up the debris from Hurricane Irma.